… And Do This Without Risking Paying Thousands Of Dollars To Expensive Trial And Error, Minimize Your Chances Of Getting Scammed, And Make Massive Profit’s! Can write? Can do programming? Got a flair for graphic and web designing? Learn how to get clients who are already looking for you using the Internet. Learn how to negotiate and get clients to pay at the price you ask for. Discover how to build an impressive portfolio and attract potential clients to you instead of your competitors… like bees to honey! Owners of rapidly expanding businesses usually fall prey to having the lack of time. 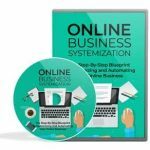 Learn how to outsource your day-to-day business operations and product creation chores to freelancers cheap! Avoid Getting Scammed: baby steps to making negotiations that are in your favor when dealing with anonymous freelancers for the first time. How to spot honest and hardworking people, take care of legal issues, and detect for ‘red flags’. 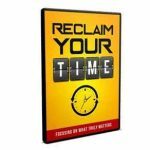 And free your time, slash your stress by half, and double your profit’s in less than one week! 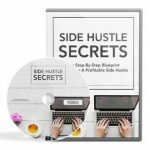 ** You’ll be learning from someone who has years of experience in this area as a freelancer and buyer, has lost 100’s of hours of time and $1000’s from scammers. You will be taught what to avoid and what to look out for! In this introduction, you’ll be given an overview of two different perspectives. How you can find profitable jobs as a freelancer and how you could outsource your business operations as the buyer. You see…you can easily tap into both these perspectives or just one. If you’re taught to see only from one perspective freelancer or buyer, then I can guarantee that you won’t be as efficient in getting high bids as a freelancer or getting quality bids as a buyer. It’s just like real life, if you can’t see two perspectives then you can strengthen yourself on that one perspective. There hundreds of sites out there that bring freelancers and buyers together, however the question is which was is the best? If you don’t know already, many freelance sites actually specialize in different areas, even though they don’t advertise it. Some sites are better for finding programmers or programming jobs. Some are better in graphic design, article writing, and more. We’ll go over a few of the popular ones. You will learn several techniques later on how you can spot as a freelancer which sites are more profitable for you to go on, and which are not. Before you get started trying to find jobs on freelance sites, there are several things you must know and prepare beforehand. Otherwise you will waste a lot of time and it will only end up in more headaches. For example, in this video you will start brainstorming about what you as a freelancer will be selling, what your strengths and weaknesses are, and much. More so, you need to understand a buyers basic perception when they come into these sites and how different buyers in your market are thinking. So you learned in video 3, what you needed to know before you got started. Now that you have that information in hand ready to go, let’s talk about how you as the freelancer can stand out among your competition. Depending on the site you go into, you can have 10-30 other freelancers competing and bidding on the project you are trying to get. There are specific things buyers will look out for when they go through the bids. Many freelancers make the mistake of just jumping in and wondering why no one accepts their bid. You will learn what they look for, so you can get ahead of the rest of the freelancers. Also, if you watch the videos on the buyers perspective, I guarantee that you will get better view of what the buyer is looking for. If you learn what is in this video, I guarantee that you will be able to avoid the same mistakes I made losing lots of time and money. As the buyer, understanding the freelancer perspective, is good as well, but as the buyer you have more say so, since you are dishing out the money. In this video you will get a good view of how you should create your project so that you don’t waste time and you attract the right type of freelancer. You se… for example, many buyers make un-realistic expectations without knowing it, and attract the wrong type of freelancer and it only ends up in more confusion and headaches later on. You’ll get a short lesson in Hiring 101, which you can use in many aspects of outsourcing your business operations. Did you know as a buyer, you have a partial impact on your freelancer’s output? You probably didn’t know this, but a good experienced buyer can easily help the freelancer create a better design, article, or program. Remember, it goes both ways in reality and you’ll learn how to better approach this. Most people will look at the feedback someone receives and make that the determing factor as to whether they will choose the person or not. Just like you and I, we have our ups and downs, personal problems that can keep us from our work. However on the deeper side of things, there are scammers out there with great feedback that will take advantage of you. Using feedback is fine if it is a partial factor, and there are actually several measures you can combine together to see whether someone will scam you or not. I’ve had over 5 projects go sour, after getting excuses for months on end and losing over $5000 due to scammers, with perfect feedback ratings. On the flip side, there were several with no feedback, and became long term 2 year+ relationships. We’ll also talk about legal issues, which is a good measure. You know that different countries have different understandings of legal issues, so you have to know what to look out beforehand to keep yourself safe. Check out my videos after you have made your purchase and follow the steps as I reveal how you can maximize your profit potential from freelance websites like no other ways that other people know of before – whether you’re a freelance star in the making, or a proud owner of a growing Internet empire.